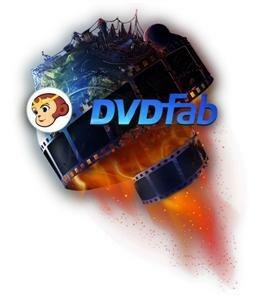 DVDFab is the most powerful and flexible DVD or Blu-ray copying, ripping, creating and burning software. Also it’s a fantastic file converter which can rip and convert DVD/Blu-ray movies or transfer your files to various portable devices. DVDFab supports all popular video and audio formats, HD video and almost all multimedia devices. This software is simply the easiest way to copy a DVD/ Blu-ray movie. It can copy any DVD or Blu-ray disc with Cinavia watermark, and create a protected disc (BDMV-REC) to disable Civania for playback on PS3. Your entire movie - including menus, trailers and special features - is copied to a single DVD/ Blu-ray with just one click, and everything happens automatically. Backup your entire DVD/ Blu-ray - including menus, trailers, and special features - onto one or multiple discs. DVD Copy makes backup DVDs in an easy and fast manner. Copy, rip, clone, split, merge, burn, customize, and more. Blu-ray Copy backs up Blu-rays easily and fast. Copy, rip, clone, burn, write data and more. DVD Ripper can rip or convert any DVD movie for playback on popular portable and mobile devices, smart phones, tablets, and more. Blu-ray Ripper (3D Plus) can rip or convert any Blu-ray movie to various formats that are compatible with portable and mobile devices, smart phones, tablets, and more. DVD Creator allows you to create your own DVD discs/ ISO files/ folders from a variety of videos downloaded from Internet, taken by camcorders, etc. Blu-ray Creator converts nearly all sorts of videos into Blu-ray format and saves them as Blu-ray ISO files and folders, and even into BDs. Video Converter can convert videos from one format into almost any other standard format, so that you can view them on different devices. 2D to 3D Converter working together with DVD Ripper, Blu-ray Ripper or Video Converter, converts 2D DVD/Blu-ray/video into 3D format. • The BluPath analysis tool can quickly and precisely find the right playlist and region code for Blu-ray. • StealthyClone will help users backup/clone BDs regardless of Sony DADC Screen Pass and other structural protections. • Lightning Shrink – world’s most efficient GPU-acceleration based Blu-ray compressing technology to rip or convert Blu-rays within one hour. • BD Shrink technology enables DVDFab Blu-ray Copy to compress Blu-ray (3D) movies to smaller sizes to fit on blank BD 25/BD 9/BD 5 discs. • BDInfo will help you get the detailed information on the Blu-ray you are backing up. • DVDFab supports 4K UHD (3840 x 2160) videos to help you enjoy ultra high definition experience. • H.265 codec compresses video files to the half size with the same video quality as the original and DVDFab supports it all roundly. New: Added the support to remove the Cinavia watermark found on the DVD version of Burlesque and Unfriended. Fix: A problem that the other display languages except English are missing from YouTube to MP3. Fix: Some minor UI display issues.